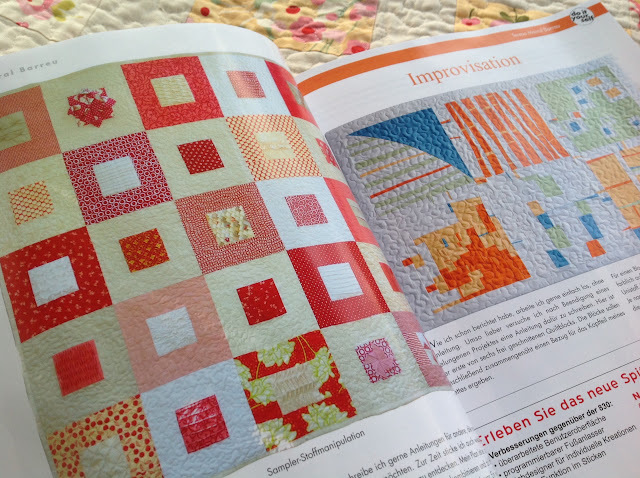 It was very exciting to receive this German quilt magazine, Patchwork Professional, on the mail today. I don’t know if I have many subscribers who read German but if you’re interested, check out the magazine. 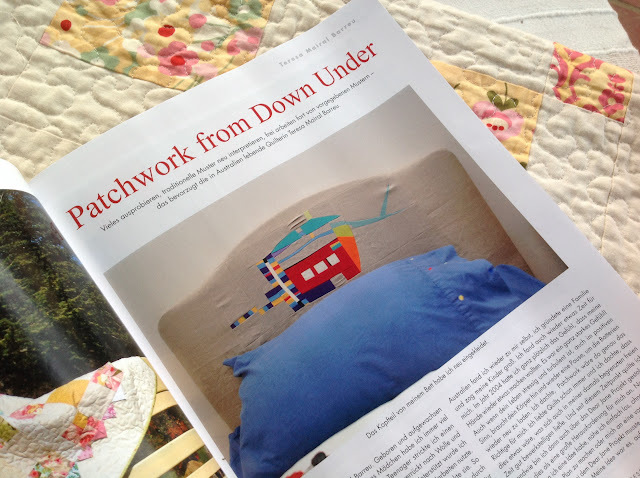 It has an article about my work and a step-by-step improv patchwork project. Congratulations. I love the cheerful colors and the modern look. Thank you so much for sharing. Keep on! Until next time: create, inspire, encourage. I hope you got copies for your mum! So, a Spanish speaker in Australia is contributing to a magazine in German. What a small world it is! I’ve got a copy yes! Quite funny isn’t it. Congratulations! I do read German and I registered on the magazine website. I had no idea that Germans quilted: I’ve never seen quilt shops there. I think in Europe you do find the odd quilt shop here and there in many countries. Quilting is not as big as in the US but it’s growing. I am Pole who live in Germany – another funny coincidence. I am a member of German Patchwork and Quilting Guild since 16 years. 2015 this guild is celebrating 30 birthday! When you say you don’t know that German are quilting, you have not heard also a. o. about Claudia Pfeil who won among 30+ prices 3 times in a row The Best of Show MQS contest. Or about Birgit Schüller, who won a. o. 2012 the 1 Place Runner Up – Best of Show in Adelaide, Australia. 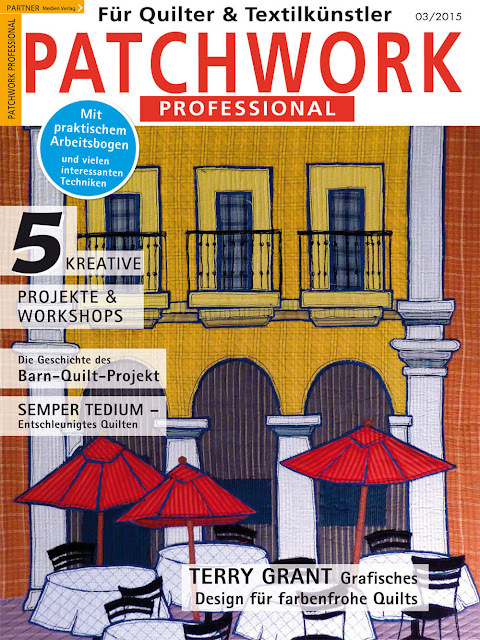 Your article in Patchwork Professional was as funny as your works – I like them! Thank you for some your tips and tricks. Thank you for your comment Danka. I’m happy to hear you enjoyed the article. I’m 87 yr old and forget is there a book or books I could buy. Hi Phillys, this was a German magazine contribution. All my work is on this blog.